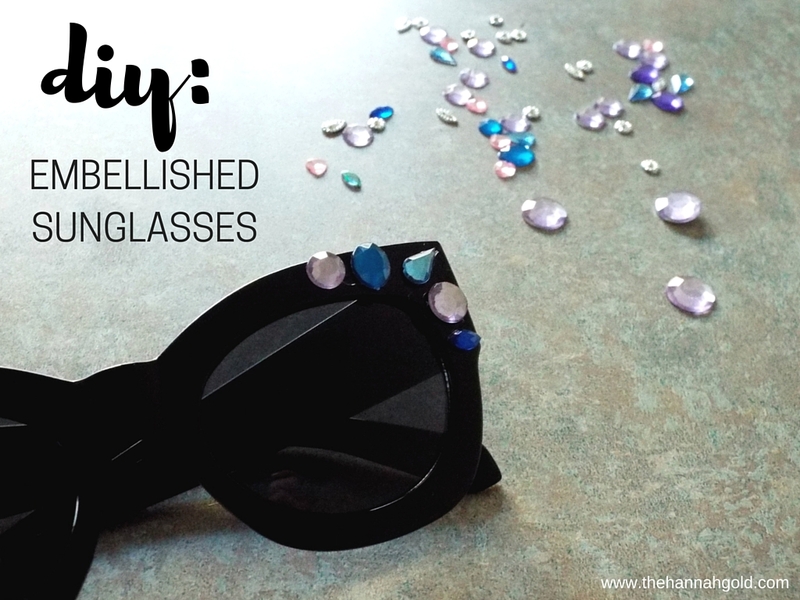 I've always loved out-of-the-ordinary sunglasses. I've seen embellished sunglasses around, and figured it would be a super easy look to recreate (and I was right!). 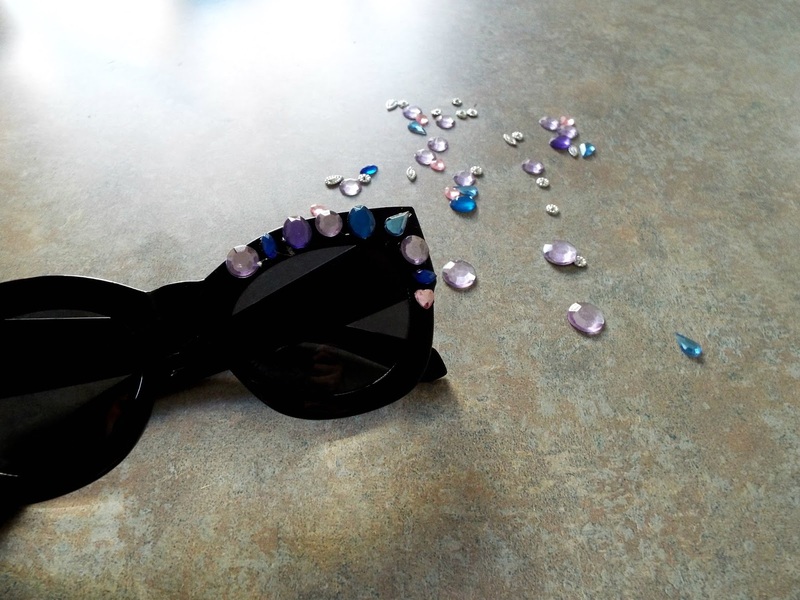 I was inspired by these Prada shades (and these strikingly similar glasses from Slay Accessories). 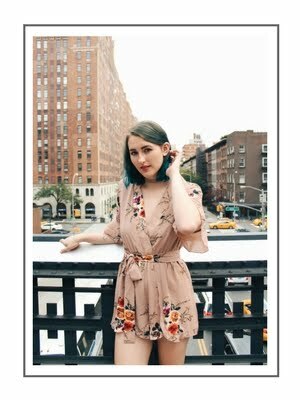 Pull aside the gems you want to use. 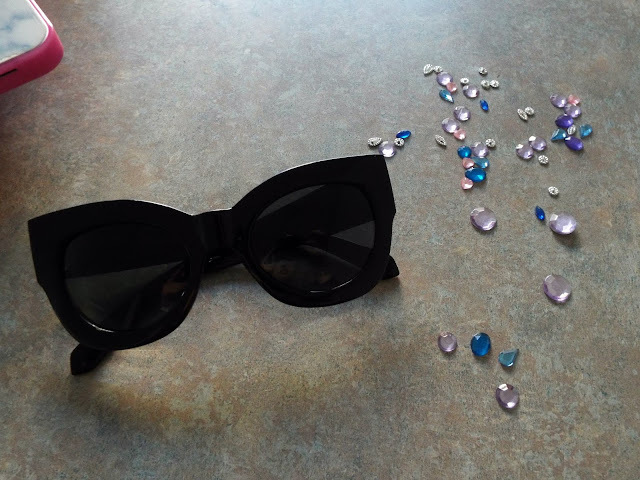 Make sure you have an even number of each gemstone if you're looking to make each side symmetrical. 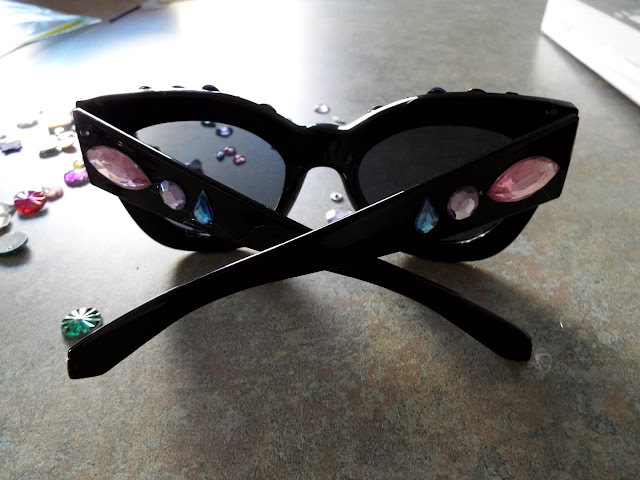 Use hot glue to glue the gems on the glasses. 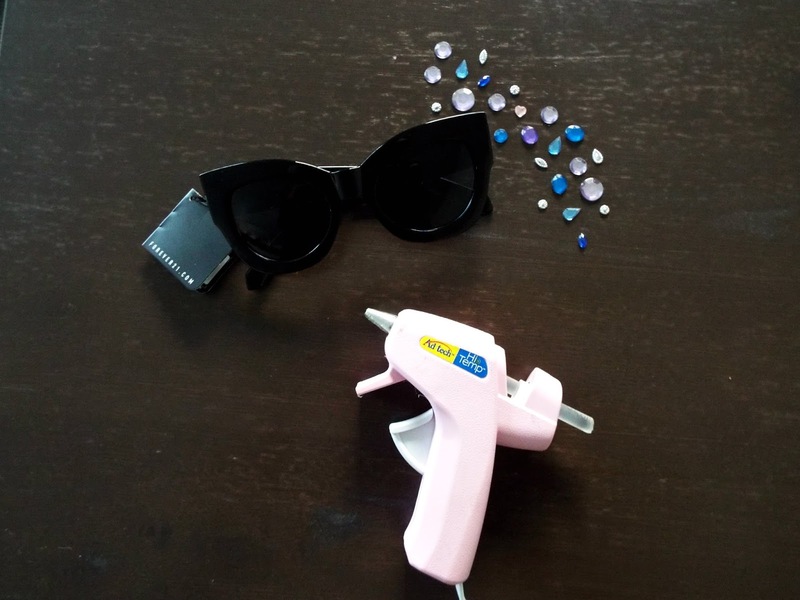 Make sure to evenly space the gems and keep the hot glue from touching the lens! 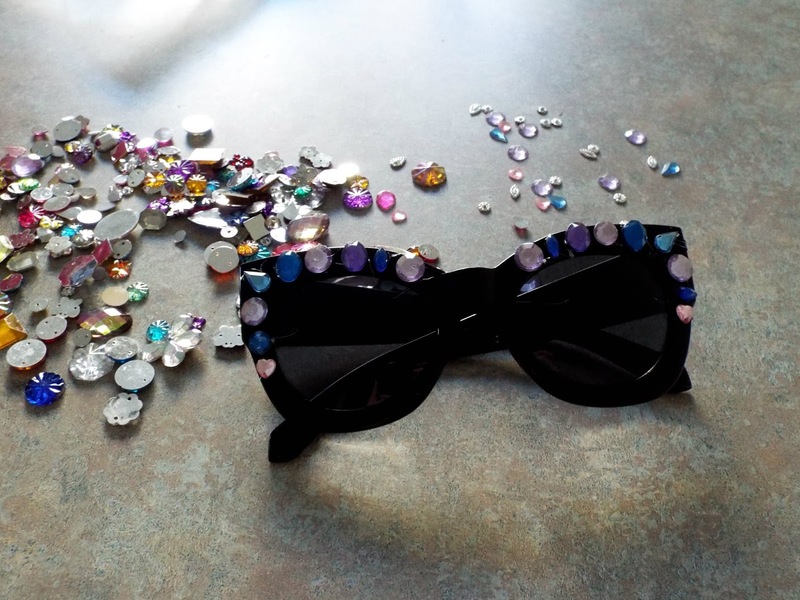 Glue gems to the two end pieces for a little bit of extra flair.